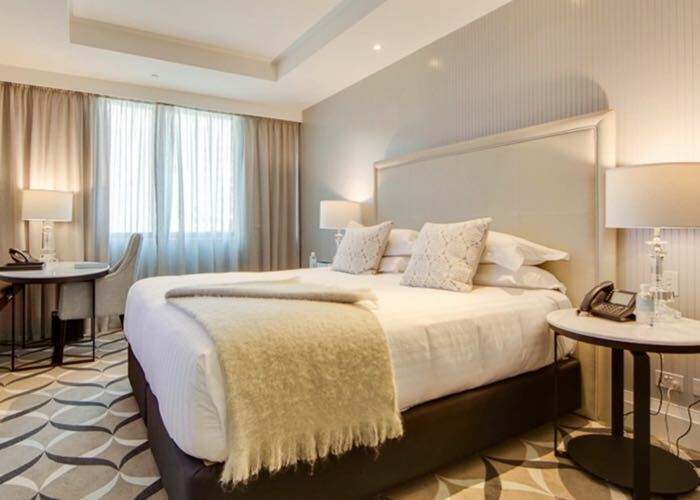 Mayfair Hotel’s 170 elegant and well-appointed rooms and suites are complemented by stylish spaces including light filled meeting and function rooms, business centre, gym, exquisite Mayflower Restaurant & Bar, Café 55 and the newly opened rooftop bar, HENNESSY. 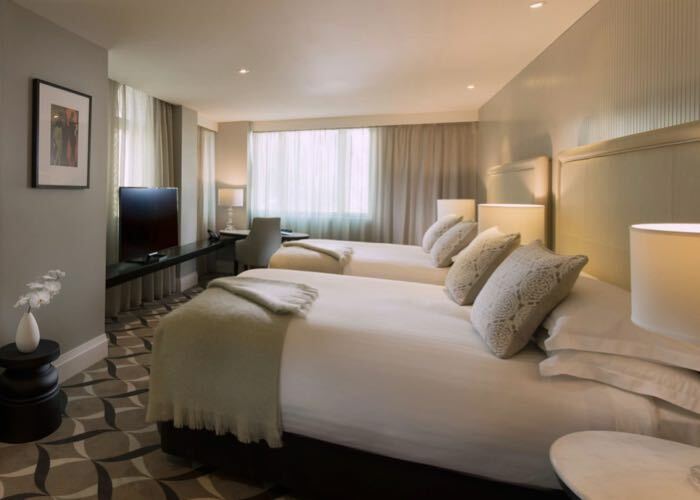 These spacious rooms feature the boutique hotels exclusive custom-made Mayfair king beds, media hub, large screen TV, and privacy service panel. The ensuite is luxurious, featuring the Grohe rain shower system and LOccitane skincare range. This room is perfect for a family or small group of friends. 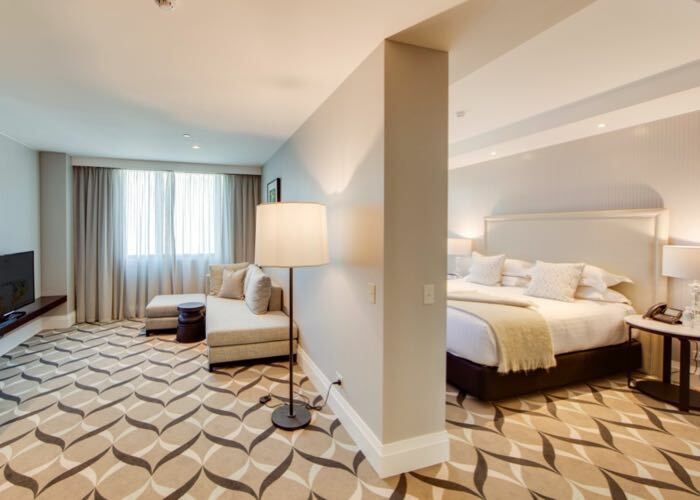 It features two of the custom queen beds, hand selected artworks, and daily complimentary mini-bar items. The opulence extends to the ensuite with the Grohe Overhead Rain Shower and fluffy bathrobes and slippers. 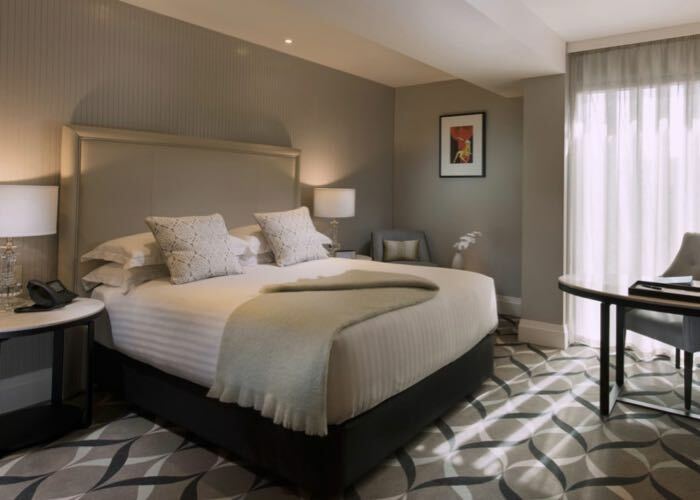 These ultra-luxe rooms feature a bedroom with the custom-designed Mayfair king bed, writing desk, Nespresso coffee machine, and media hub. Pamper yourself with a long, relaxing bath with the supplied bath bombs, bathrobe, slippers, and exclusive range of LOccitane Skin Care. 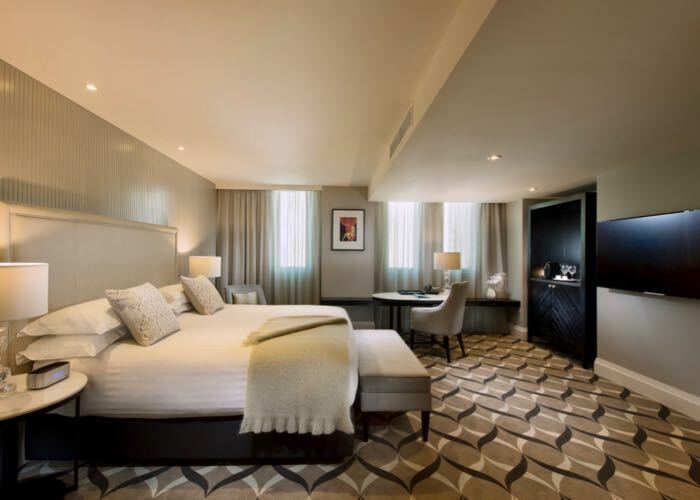 Furnished with the signature Mayfair king bed, this room makes you feel like royalty. The suite features an open-plan living area with a flat-screen TV, sofas, hand selected artworks, and Nespresso coffee machine. The ensuite bath is the perfect taking long baths with the supplied bath bombs. This room exudes comfort and luxury in a compact size. 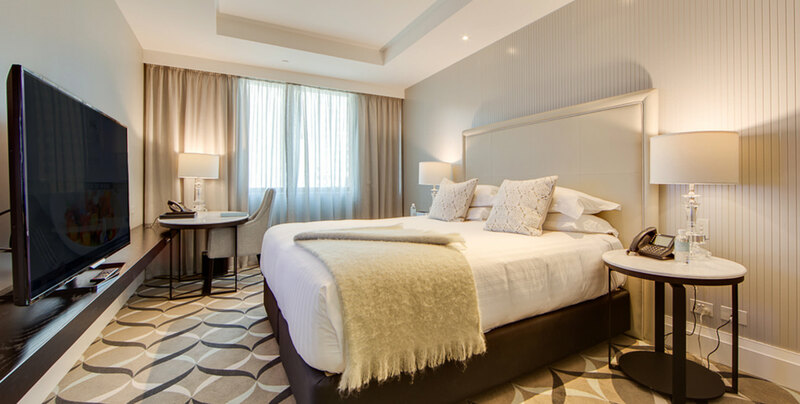 It comes with the custom queen bed, work desk, flat-screen TV, Wi-Fi access, and elegant fixtures and artworks. The ensuite bath features the Grohe Overhead Rain System and LOccitane skincare range. If cancelled or modified up to 24 hours prior to date of arrival, no fee will be charged. If cancelled or modified later or in case of no-show, 100% of the first night will be charged.